There is something disconcerting about sitting down for a chat with a man who admits to having thrown away whole galaxies because he didn’t like the look of them. 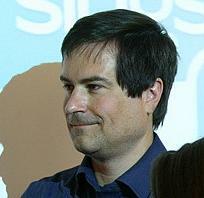 It’s one of the reasons David Braben has become affectionately known as ‘The Creator’ on the Kickstarter forum dedicated to the 21st Century remake of his seminal space-trading game Elite, which when released on the BBC Micro back in 1984 was literally a game-changer for home entertainment. “Elite was famous because it had such a giant world to explore in such a small amount of memory – and even Elite II was a single floppy [disc] that contained our entire galaxy in great detail – from cities on planets all the way to hundreds of billions of solar systems throughout the galaxy. Even I remember thinking ‘this is witchcraft’; it was truly amazing that I, as a player, could explore a galaxy in a game that I had made without knowing what was out there. 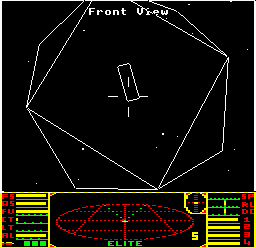 Elite went on to define an entire genre at a time when the word genre didn’t even apply to computer gaming yet, but the programming duo of David Braben and Ian Bell didn’t set out to change the world. All they wanted to do was make a game that they would enjoy playing. At the time personal computer games were mostly a rip-off of arcade titles with gameplay strongly motivated by the ‘coin-drop’ – in other words getting you to pump more money into the machine to keep on playing. They were all about three lives and high-scoring, with the average game lasting around ten minutes – fifteen if you were really good. In contrast, Elite was an open-ended game, with no score, no levels and no bosses – just a vast galaxy you could explore in any way you fancied, picking up missions and gaining cash and notoriety as quickly and as honestly (or dishonestly) as you wanted. High reward = high risk and all the consequences that entails; it’s probably a shame more city bankers didn’t start their trading careers with a game of Elite back in the 80s. Today this type of ranging, open style of play is known as a sandbox game – Grand Theft Auto is a typical modern example if you don’t remember the original Elite yourself. Fast forward three decades (which is an insane amount of time when you think about it in computing terms) and David Braben has his sights firmly fixed on creating the latest incarnation of his eternal classic; Elite: Dangerous – which from the screen grabs and teasers I’ve already seen looks like it’s going to be very much at home on the modern PC. This will be the third release in the Elite gaming series… Alright, so I know it’s officially going to be Elite IV, but as a self-confessed fan-girl I’m choosing to ignore 1995 and the release of the bug-ridden Frontier: First Encounters, which doesn’t even have Elite in the title and ended in litigation between Braben and the publisher anyway. “Multiplayer has always fascinated me and it’s always been the thing that I wanted to add next to Elite because it just enriches the gameplay so much being able to play socially. If you look at the way a lot of people play games like Call of Duty; they play it as a virtual playground game of tag, as a semi-social thing with friends. I think it’s that sort of spirit that I would really like to see in an online game, but not necessarily with the same sort of violent tilt to the subject matter that you see in Call of Duty. “I would very much like to play a lot more games than I do as well, and not just our games but all games as I am a huge gaming fan, but the combination of kids taking time and work eats into gaming time. 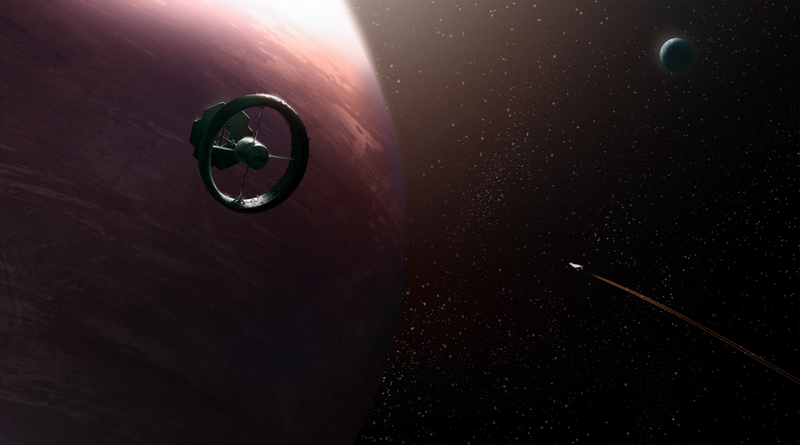 There are a number of different ways we are planning for this in Elite: Dangerous. One is the ability to join different groups that are tuned to different types of play so people can easily opt in and out depending on how much time they have. I like the idea of having a group that is called “People who are 40 and don’t have much time to play,” and then you’d also meet quite like-minded people who will tend to behave in the game much like you would. I have been known to play the odd MMO, and yes on occasion I’ll admit, somewhat obsessively. But as much as I’ve loved them one aspect of the genre has always left me cold; PVP, otherwise known as player versus player. I like a challenge and there is nothing quite like the challenge of pitting your wits against an unpredictable human opponent. But there is also nothing less fun in gaming than being repeatedly killed by a much stronger player, which can easily happen on public servers when there are too many teenage hormones involved. 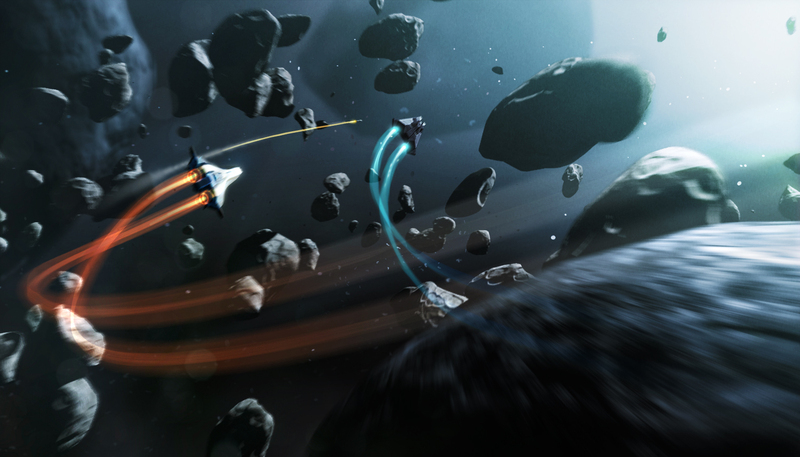 So what does David have planned for Elite: Dangerous PVP? “On the Kickstarter site we’ve started detailing the ways we will be making PVP okay in the game without it being a real problem to the player. Firstly we’re still planning to have ‘save positions’, which feels really wrong in an MMO to a lot of people, but I actually think it addresses a lot of the issues and reasons why I don’t necessarily like MMO’s. “If you think about a world like Elite, with bounties, if someone lets off a load of shots at you and you managed to not die straightaway, they become a pirate and you are then entitled to shoot at that player while they cannot shoot at you. So whoever shoots first essentially becomes the pirate. Plus the fact the cops will come after them, and depending on the relative ratings we will try and increase the punishment – so if a player with a high-end ship attacks a beginner they will get a much higher bounty on their heads than if it happened the other way round. To me that sounds like the foundation of an excellent game mechanic – perhaps even genre defining again, although we’re going to have to think of a snappier title than PVP-games-you’ll-want-to-play-even-if-you’re-not-a-teenage-boy-driven-mostly-by-testosterone-and ego. And while the first release of Elite: Dangerous is going to concentrate on producing a 21st Century rendition of the classic space-trading and exploration game we know and love, David promises evolution as time goes on. 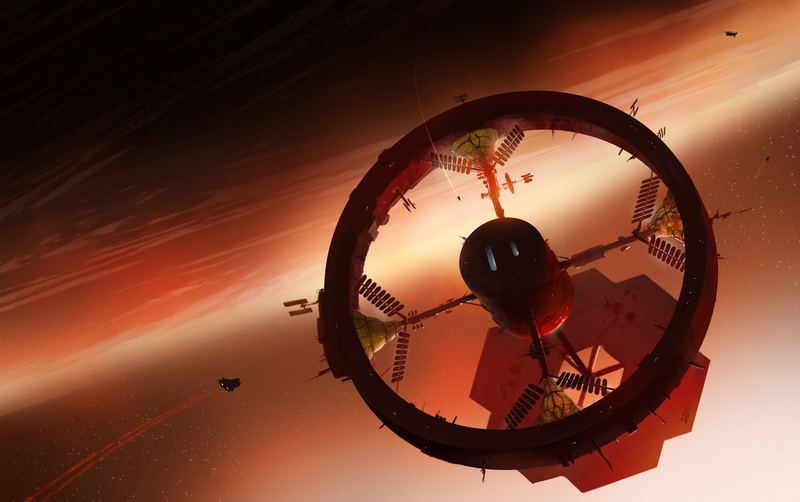 There are even plans afoot to let players walk on worlds (if you’ll pardon the pun), with expansion packs being dreamt up that might offer new ways to explore inhabited planets teeming with rich life and adventure.